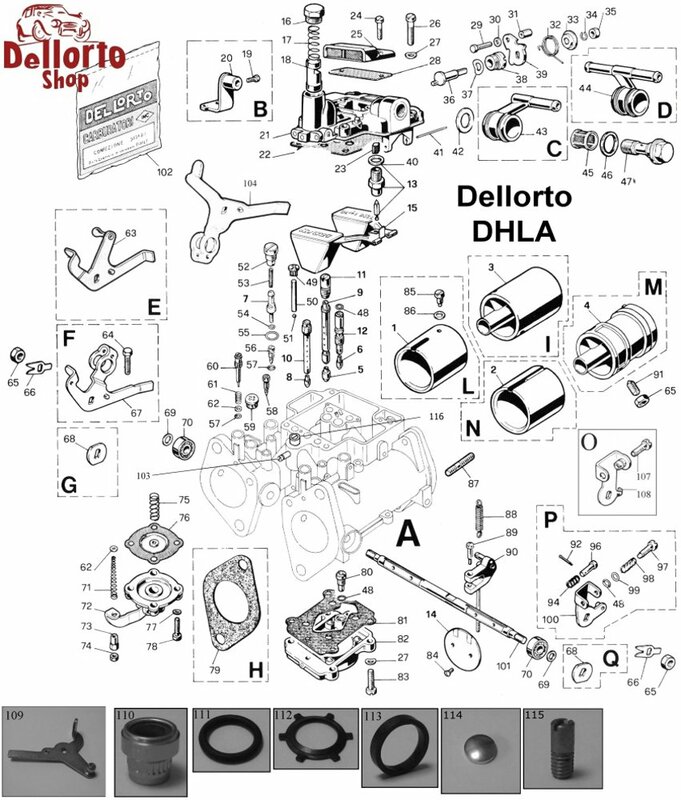 This is a late type ball lever as used by Alfa Romeo for the Dellorto DHLA series carburettors. It matches balance lever 9759 (item 108). Please note that this lever is NOT shown in the drawing.